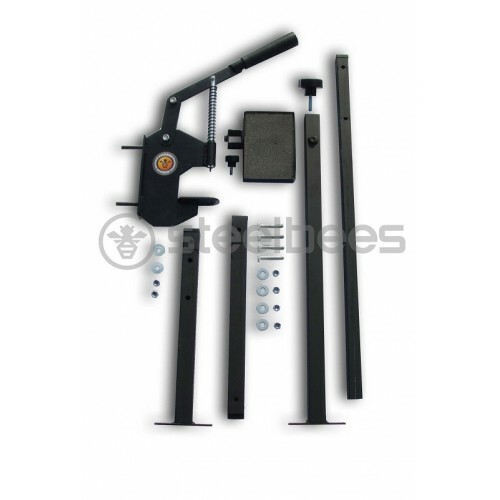 The SBΚ-303 frame eyelet Press is intended to sub serve professional beekeepers with large honey crops. 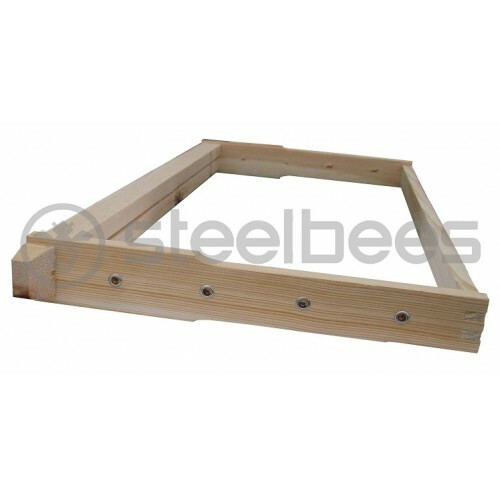 When preparing the hives, it makes the process of eyelets piercing in the frames extremely easy and fast, no matter how wide or narrow the openings have been punched, without damaging the wooden surface. It also gives the ability to the user to regulate pressure according to the desirable depth of the eyelets. 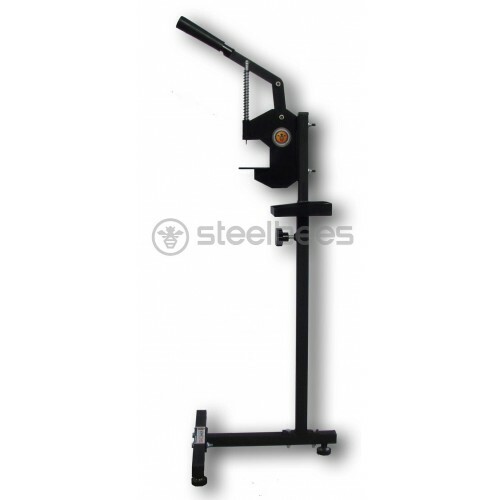 The SB-K1 has a strong and stocky structure of top quality metal that provides a 3 years warranty of optimum operation. The holding base of the eyelets has a powerful magnet that holds in accurate position any type of eyelets. 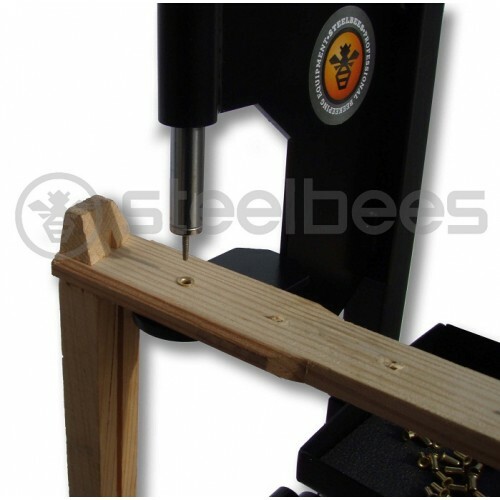 It has specific guiding marks so that the eyelet is put up straight and easily into the eyelet hole without damaging the wooden surface of the frames, highly effective when holes are narrow or purely opened. You can use any type of eyelets, long or short and/or of any diameter. 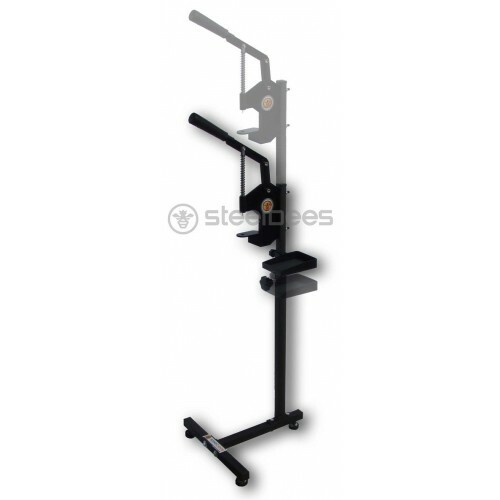 The SB-K1 eyelet Press with the floor base can be adjusted as to the height according to the user’s sitting or standing position. You don’t need to tighten it or bolt it down to the floor and you can carry it anywhere you like. It has a separate storing plate for the eyelets for quick access. 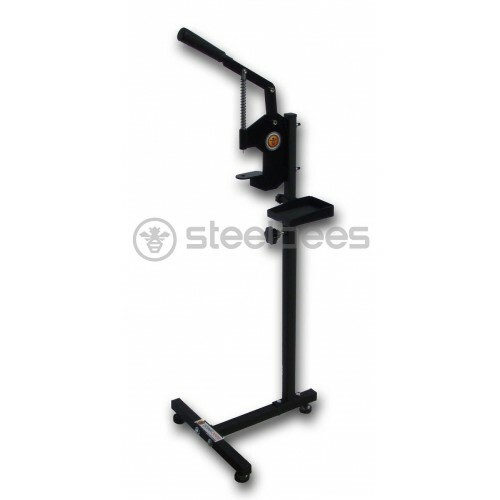 The height of this separate plate can also be adjusted according to the user’s position. 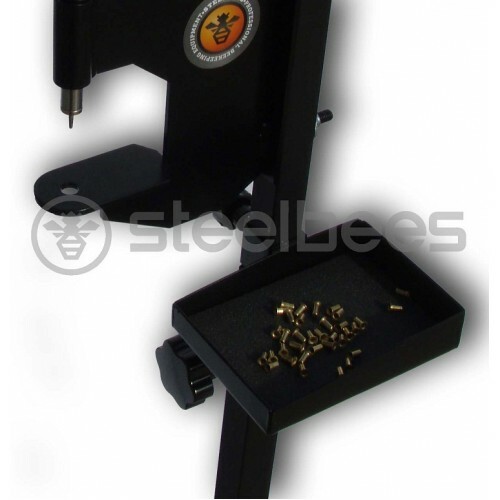 The SB-K1 eyelet Press is so easy to use that you can pierce about 150 frames within an hour. It is made of strong metal, powder coated for maximum time resistance. 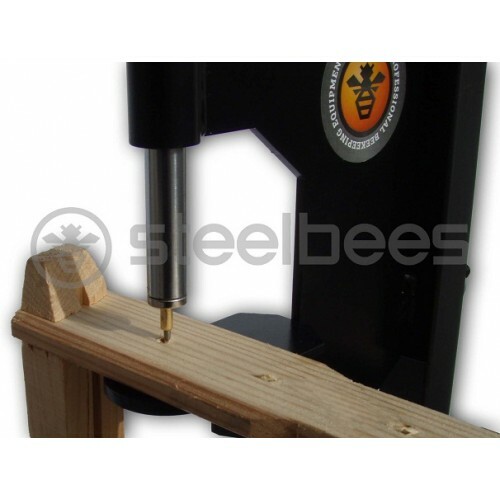 An “economic” version of the SB-K1 is also available for use only on a table or a workbench.